SOUTHFIELD, Mich.--March 1, 2006--ELS Surround, Panasonic Automotive's premium multi-channel surround sound system, is the presenting sponsor of Steely Dan co-founder Donald Fagen's solo tour. The tour runs throughout March in 20 North American cities. It coincides with the release of Donald Fagen's new solo album Morph The Cat, which was mixed by long-time Steely Dan engineer and ELS Surround co-creator Elliot Scheiner. Morph The Cat is set for release on March 14 on Reprise Records. It will be available as both a CD and a CD/DVD in high-resolution audio and 5.1 Surround Sound. Scheiner provides a meaningful connection between Fagen and ELS Surround. He has worked with Fagen for more than 30 years, predating the creation of Steely Dan. His partnership with Panasonic on ELS Surround, designed for the automotive market, allows drivers to hear Fagen's work as they would in a studio, surrounded by the music. "I've worked with Donald on his music for decades. To now be involved in his tour with ELS Surround as a sponsor is particularly fulfilling for me," says Scheiner. Panasonic Automotive President Vince Sarrecchia adds, "The ELS Surround brand is about spectacular sound quality... about the ability to hear music in a way it's never been heard in a car. It's a natural fit for us to sponsor an artist who is renowned not only for the quality of his music, but for his exacting production standards," he said. ELS Surround - which takes its name from Scheiner's industry nickname "Els" -- was launched in 2003, pioneering the first discrete multi-channel automotive sound system. It includes six independent channels of audio source material -- a dramatic change from the two channels in standard automotive audio systems -- creating sound that surrounds the listener. It's become known among leading musicians, producers and engineers for its ability to reproduce music as it sounds in the studio. Listening to Morph The Cat's 5.1 version with ELS Surround is a more satisfying experience than with the two-channel version, according to Scheiner. "The 5.1 mix makes the music much more open and spacious. You're not fighting to hear each instrument as you might in a stereo version. Every instrument has more definition and clarity in surround. You can experience the music as if you were sitting amidst the band....and it's especially dramatic in the car," he says. Scheiner's collaboration with Panasonic Automotive continues to be the only one of its kind; no other automotive supplier is reaching out to a member of the music industry to enhance the audio experience for the systems it provides to vehicle manufacturers. Panasonic's rich tradition in audio technology is complemented by Scheiner's music industry leadership in surround sound recording/mixing. Scheiner has worked with such music legends as The Eagles, Fleetwood Mac, Steely Dan, REM, Faith Hill, Queen, Sting, Van Morrison and Grover Washington Jr. In addition to Fagen's Morph The Cat, his recent work includes mixing for the Foo Fighters, a continuing relationship with The Eagles and Beck. Scheiner has been nominated for 20 Grammy Awards and has won five. His most recent Grammy is for album of the year - Steely Dan's Two Against Nature. He has also been nominated for three Emmy Awards and is a TEC Hall of Fame inductee. For more information about ELS Surround visit www.elssurround.com. "Morph The Cat," the eagerly anticipated new solo album from Steely Dan co-founder Donald Fagen, has been set for release March 14th on Reprise Records. 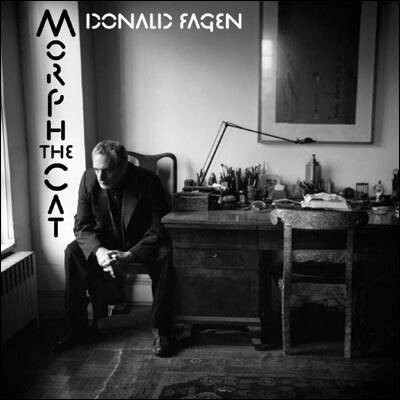 Featuring nine new songs written and arranged by Fagen, "Morph The Cat" is the multi-Grammy winning artist's first solo album since 1993's "Kamakiriad" and the final installment in a de facto musical trilogy that began with "The Nightfly" in 1982. The album selections include the title track and the debut single "H Gang." Also featured are "What I Do," "Brite Nightgown," "The Great Pagoda Of Funn," "Security Joan," "The Night Belongs To Mona," "Mary Shut The Garden Door" and a reprise of "Morph The Cat." Built around extended, richly textured jazz, soul and rock grooves, the themes of "Morph The Cat" range from impending mortality and assorted apocalyptic scenarios to homeland security and the ghost of Ray Charles. "Morph The Cat" was recorded in New York City and Kauai, Hawaii, and features an extraordinary line-up of backing musicians, many of who have previously worked with Fagen and his Steely Dan partner Walter Becker on stage and in the studio. Included are drummer Keith Carlock, bassist Freddie Washington and guitarists Hugh McCracken, Jon Herington and Wayne Krantz. Fagen performs lead and backing vocals and plays keyboards.